Acne Scars, Pigmentation, Freckles, Fine lines and Wrinkles reduction. of skin conditions that can benefit from this laser treatment. Acne scars: Hyper pigmented or deep acne scars. Wrinkles and skin laxity, preventing ageing process. Pigmentation (sun spots, freckles and melasma reduction). Post-surgical and post-traumatic scars, birthmarks, mole and warts removal. Vaginal rejuvenation and urine incontinence. 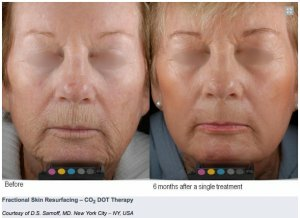 The latest CO2 Fractional Resurfacing Laser is a break-through technology that penetrates with heat deep into skin removing about 20-30% of the total skin surface during one session. “Co2 Laser can treat almost every skin condition with minimal downtime and pain,” says Olimpia Carmen, Laser & Skin Care Specialist and Anti-Aging Expert at Wellbeing Medical Centre. 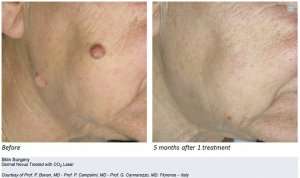 The beauty of this laser stays in the fact that the skin isn’t traumatized entirely on the surface” explains Olimpia Carmen. 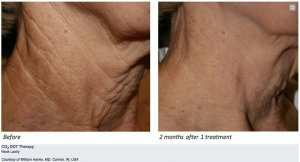 The laser makes microscopic holes and burns tiny channel wounds deep into the skin, getting rid of old skin cells and revealing brand-new skin, so results are immediate. An anesthetic cream is applied for 30-45 minutes prior the treatment so the treatment itself is not painful. *During the laser skin resurfacing procedure, the Fractional CO2 laser laser works to vaporize surface blemishes, acne scars, pigmentation, fine wrinkles, old or damaged skin cells. In the same time it heats the underlying collagen layer, stimulating its production and giving more volume and life to your skin. It does all this while causing minimal damage to healthy skin cells. 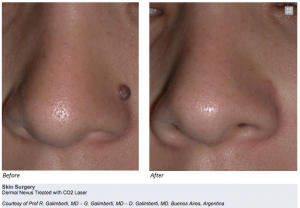 Fractional CO2 laser treatment,” says Olimpia. aftercare routine and their history of smoking. layers of the skin, stimulating the production of collagen, bringing out smoother and younger looking skin. lasting results. It is believed that this type of laser treatment can take ten years off your face. sun exposure, environmental stress, overall health and lifestyle choices such as smoking. Olimpia Carmen, Laser & Skin Care Specialist and Anti-Aging Expert at Wellbeing Medical Centre, with over 25 years of experience.